What does equity mean, particularly in education? Join us for an inclusive, handson workshop to consider this complicated question. 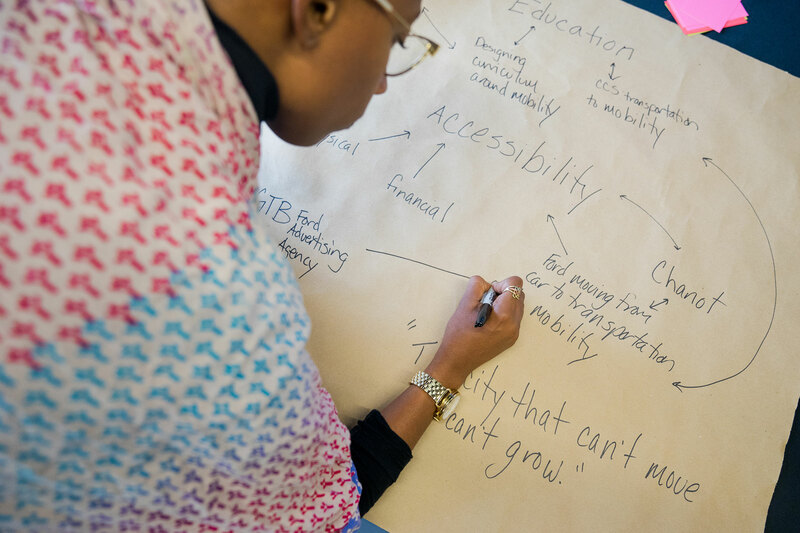 Using Design Thinking tools and methods, we will collaborate to imagine new social, economic and political futures for education and contribute to a positive and productive discussion around our city’s needs for equitable opportunities. Whether you are a high school student, parent, designer, educator, entrepreneur, neighborhood leader or retiree, your voice matters.